With more than 70 books published, Michael Wagner is one of Australia’s most prolific and popular children’s authors. And he’s now venturing into new territory by starting up his own micro-publisher, Billy Goat Books. So why would an established author decide to take on publishing? We put that very question, and several others, to Michael himself. 1. Why do it? Why bother publishing books when you can get by just writing them? Well, sometimes I write a book that publishers don’t seem to like, but I do, and kids do too. I talk in schools a lot, so most of what I get published has been well tested with a variety of target audiences. 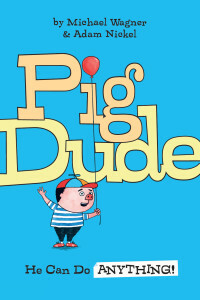 In 2014, I wrote a book called Pig Dude: He Can Do ANYTHING! When it was done, I tested it on about a dozen big school audiences. Their reaction was overwhelming – the best I’ve ever received for any of my books. I felt like I was really onto something. So now I was confused, and a bit stuck. Should I send the story out to more publishers and waste an enormous amount of time waiting for those gut-wrenching rejections (which I thought were likely to follow as, from my experience, most Australian children’s publishers like pretty much the same things), or should I have a go at publishing it myself? I decided to do it myself. 2. Did you have much to learn about the publishing process? I’m actually married to a children’s publisher, Jane Godwin, but this was my own project, and it may have been seen as a conflict of interest if she helped me out too much. So I learned the whole process myself, which was tough. There is so much to get your head around, from contracts to book design to printing and the distribution process. It’s a big, steep learning curve – but I actually LOVED it. I found myself leaping out of bed, excited by each new day and all the challenges I was going to have to work through. As hard as it was (and there were plenty of sleepless nights too) it felt invigorating and satisfying as well. And that made it worth all the tough times. 3. So is the idea to publish all of your future titles with Billy Goat Books? Not at all. What I’m hoping to achieve is a new kind of balance, whereby some of my books are published the traditional way and others are done by me. But that’s because I feel like I publish two kinds of books: ones that publisher warm to and want to publish, and others that are kind of edgy and oddball and hard to categorise that publishers baulk at. Pig Dude, much to my surprise, is one of the latter. So my balance is to have the mainstream, normal books published by others and the quirky, one-offs done through Billy Goat Books. I hope it works. We’ll see. 4. How long have you been planning for the launch of Billy Goat Books? Not much more than a year really. I only committed to micro-publishing in the middle of 2014. That’s when I decided to publish Pig Dude myself. Since then I’ve endured many waves of self-doubt and bouts of anxiety. But it’s here now and I feel kind of chuffed that it’s underway. 5. Do you hope to eventually become a major publisher? Not at all. First and foremost, I’m a writer. Publishing more than a handful of titles a year would take me away from that. My plan is to keep Billy Goat Books small and boutique publishing a couple of quirky, and hopefully beautiful, books a year. 6. Would you recommend this process to other authors? Only if they have a strong entrepreneurial streak and plenty of energy. The biggest risk in publishing independently is that you’ll love creating the books, but not have the energy (or the business edge) to sell them. Having to store thousands of books in your garage isn’t a great result. Don’t start this process unless you’re prepared to follow it through to the selling part. 7. Is Billy Goat Books ready to receive unsolicited manuscripts yet? Not yet. Not until I’ve established a robust process. It wouldn’t be fair to publish other people’s titles before then. I’ll keep you posted! 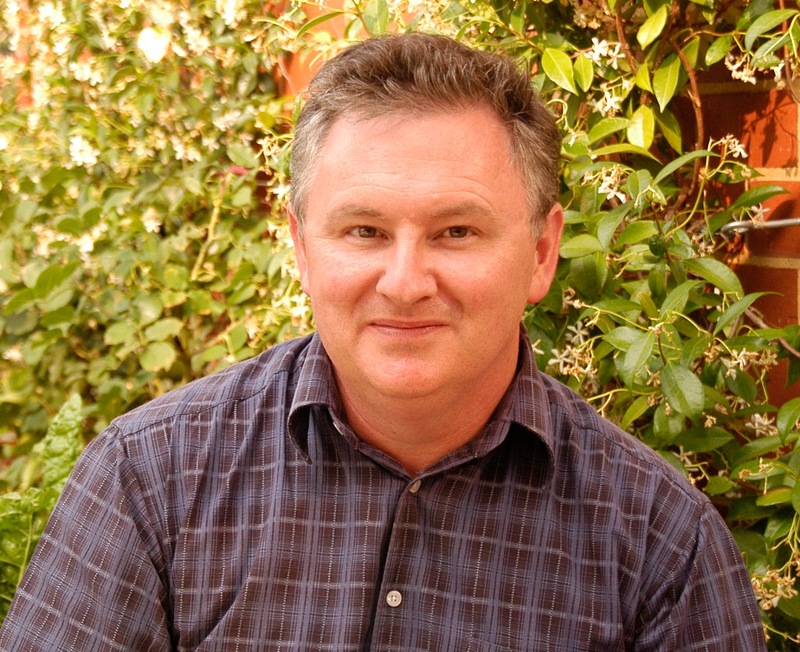 Michael Wagner is a well-known Australian author of numerous books include the Maxx Rumble and The Undys novels and Why I Love Footy picture book. Michael's latest book is the junior fiction book Pig Dude: He Can Do ANYTHING! Visit Michael's website and Billy Goat Books for more information about his books and writing projects.